EZ Drummer was the first package from Toontrack to offer the user a fully mic’d up drum kit, in virtual form, along with a full set of grooves. It was something of a revelation, as getting a great drum sound that you had complete control over was suddenly a reality. 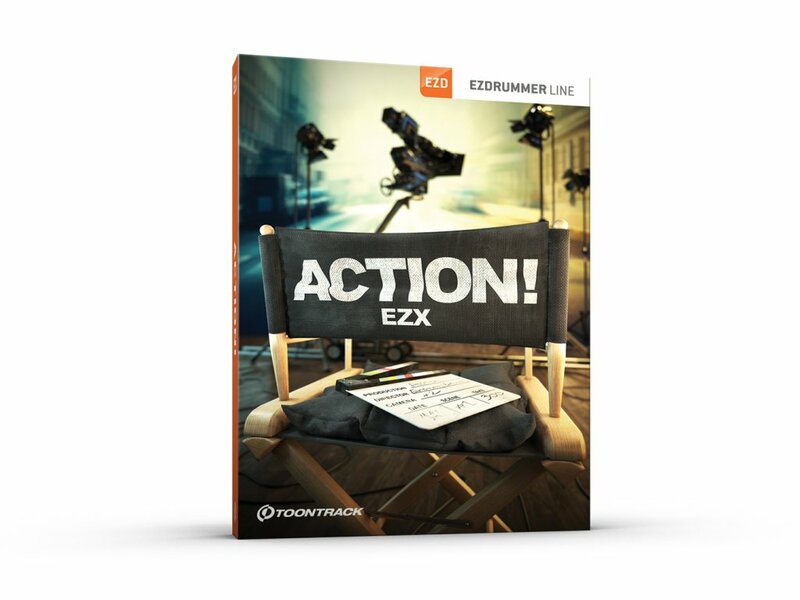 Moreover, Toontrack then started to deliver a series of expansion packs known as the EZX series, at really sensible prices, allowing the user to mould their kit choices to the music they wanted to make. 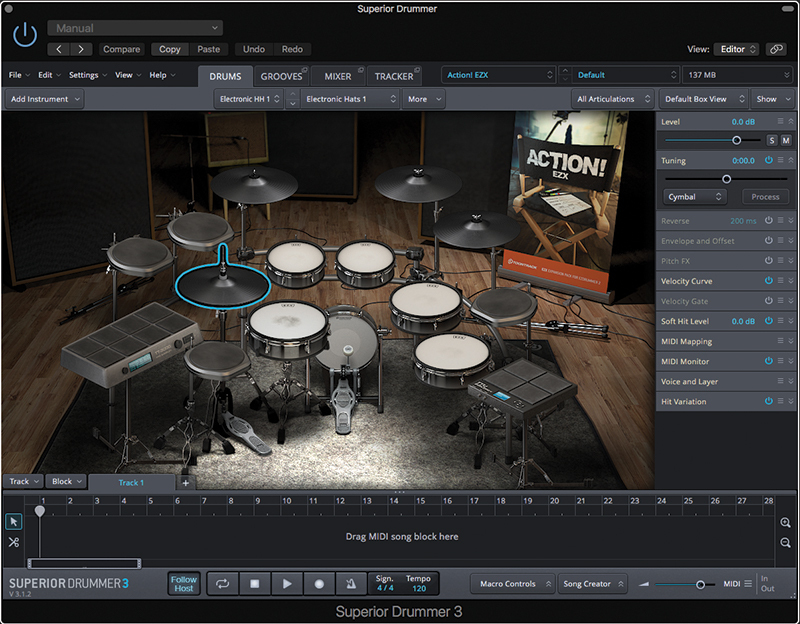 EZ Drummer is now at Version 2, while its bigger and badder sibling, Superior Drummer, is at Version 3. So what’s the difference? 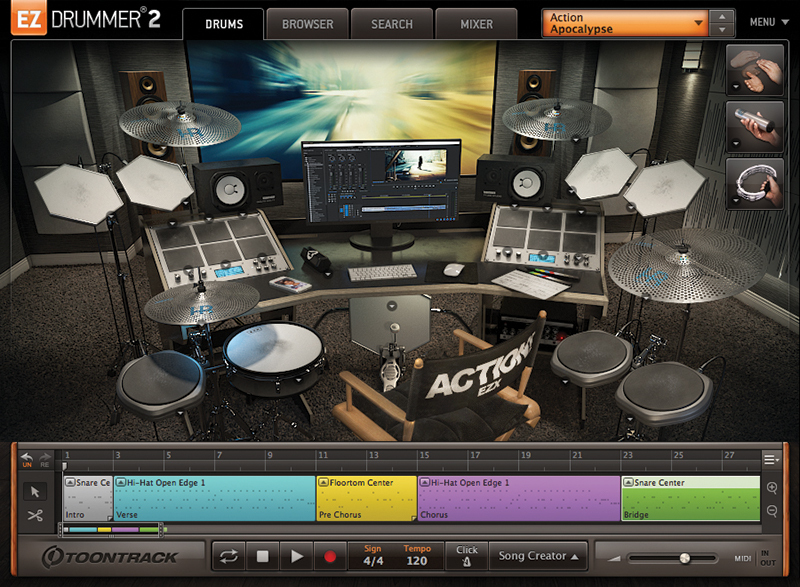 EZ Drummer is perfect for playing mix-ready drums with a smaller library of included sounds. It works perfectly, both on its own and alongside the large number of EZX expansions, which is what we have in this new Action! pack. 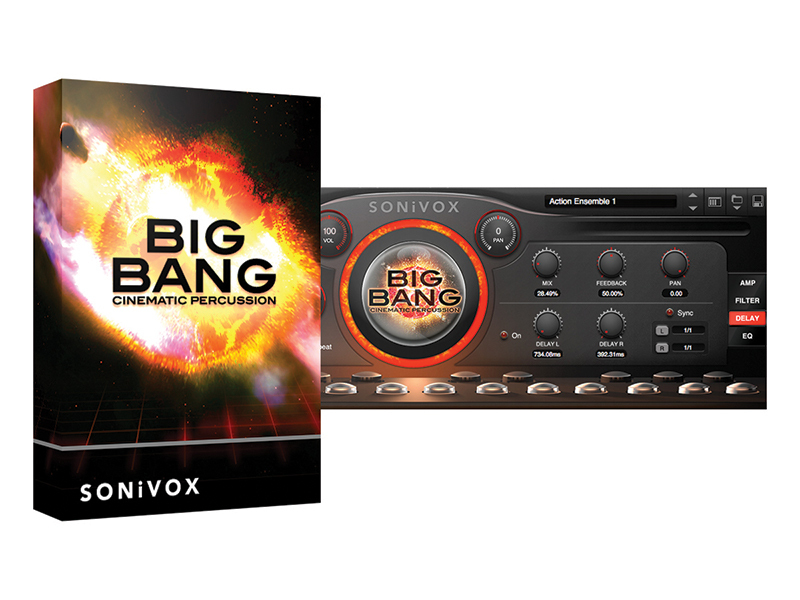 Superior scores by moulding these sounds further and, with the Drum track facility, acting as a sort of drum-based DAW. It’s difficult to escape what this package is all about and it doesn’t take long for thundering grooves to fall out of the main outputs. I have always liked the fact that Toontrack takes the time to build MIDI grooves to suit the specific instrumentation, but in certain elements found here, the instrumentation is bewildering. Toms vary from orchestral, to 808-style toms, and even Timpani. Stretching it a bit to call Timp’s Toms, and I guess it’s more down to where they are located comfortably for the purposes of loading and playback. However, diving into the sound menus relating to the electronic pads on-screen, and the list literally goes on for miles! It’s clear that the sound designers have had something of a field day with this, with the presence of large containers being struck, glasses, metal sheets, anvils, rattles and pneumatic drills. I know, I didn’t know pneumatic drills could pull off a groove either! There is also quite a large variance in the amount of acoustic surrounding each sound. Some sounds, such as the Orchestral Toms, offer quite a considerable amount of inbuilt reverberation, presumably because they were recorded in place or recorded while placed at the rear of an orchestra. Other instruments are quite up close and personal. It’s very nice to have the choice, although many of us would ultimately like to have the most amount of control we can, through the least amount of reverberation, to allow for secondary processing without the blurring of imagery. 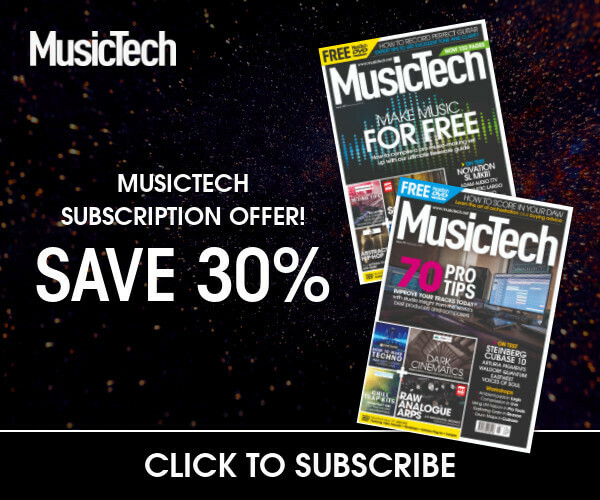 Looking at some of the Kick Drum options, and again these offer huge variance, from orchestral bass drums through to modular synth-crafted kicks. Some of these curated options don’t always stand up as well as kicks, such as the Metal Container kick. When in play, it sounds like there is a distinct lack of round robin sample playback, meaning that, in this setting, it can sound a little mechanical when isolated. I’m being pretty critical here, because the concept of soloing a Metal Container being struck repeatedly, is not one that is probably going to happen very often, but hey, when in Rome! Moving back to the more obscure sounds which are located within the electronic pads onscreen, and you have to applaud the sheer volume of content, along with the inspiration for taking some of these sounds and crafting them further. The Rise and Fall instruments are perfect for creating tension builds or offering a musical release point. Some of them feel a tad understated, but thanks to the various routing options within SD3’s onboard mixer, the complement of some compression and distortion yielded a completely different timbre, that for the more action-packed would be ideal. There is an absolutely bewildering amount of content here, much of it is not conventional instrumentation, and I would say that Action! could be considered stronger for it. I did find myself not being completely convinced by the more regular tom-based content; there’s nothing wrong with it, but they don’t seem to offer the thundering toms that many of us expect, with quite the immediacy that I was hoping for. It will deliver, though, if you put in the time to expand upon the sonic makeup of what’s available. However, where Action! truly does deliver is with the wealth of obscure percussion noises. These can then be exploited to other levels through editing within the DAW environment. This brings into the focus whether it’s worth utilising SD3 alongside it; it is an EZX expander, so it does not include the ambient mic’ing options that some Superior kits might offer, but there is a good argument that having the extra bells and whistles available within SD3 will doubtless light up some of the sounds, beyond their original remit. This will sound great if paired with EZ Drummer, but pair it with SD3 and you’ll open up Pandora’s box. what you want, it’s probably a far better purchase once you have the basics in place. which is tremendously helpful. Thunderous drums are the order of the day here. 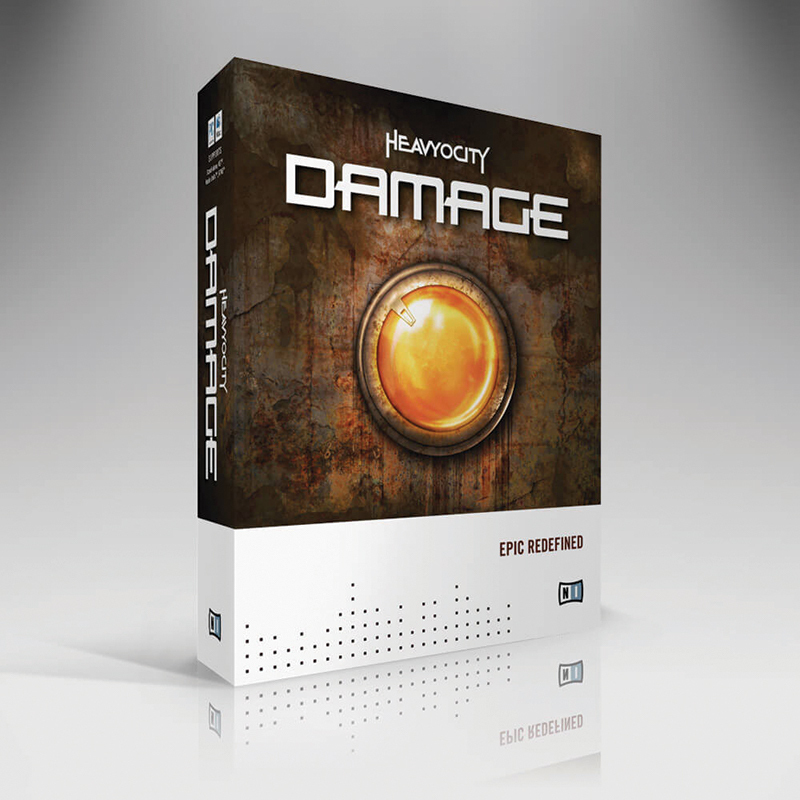 Offering 16GB of compressed samples, offering everything from grooves to individual hits. It’s also armed with a significant number of controllable effects, making those cinematic elements such as creating intense builds very easy.